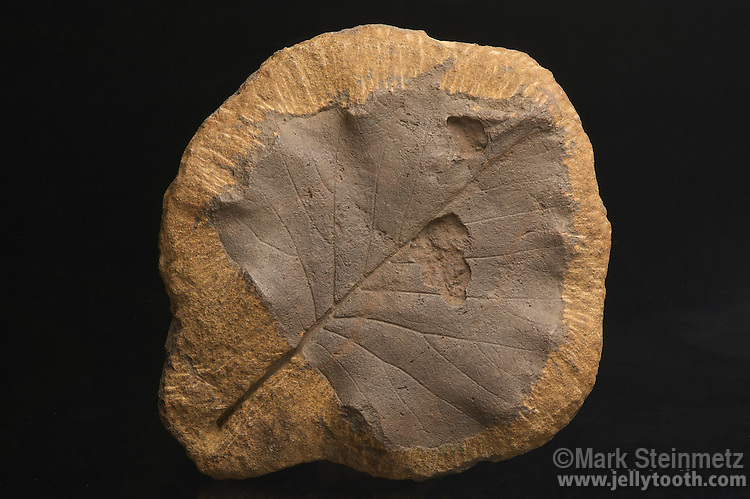 Fossil leaf. Protophyllum credneroides (Lesquereux). Cretaceous Period. Dakota Group. Ellsworth County, Kansas, USA.